We restored, renovated, and connected the MacGowan and Briggs Residences to create a seminary with residences. 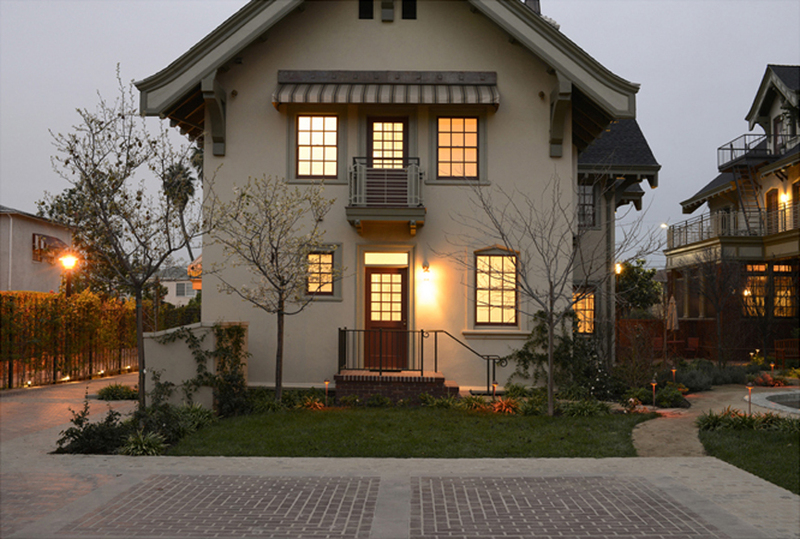 We collaborated with a multi-disciplinary team to return the Tudor Revival-style residences to their original splendor while updating them for modern life and work. 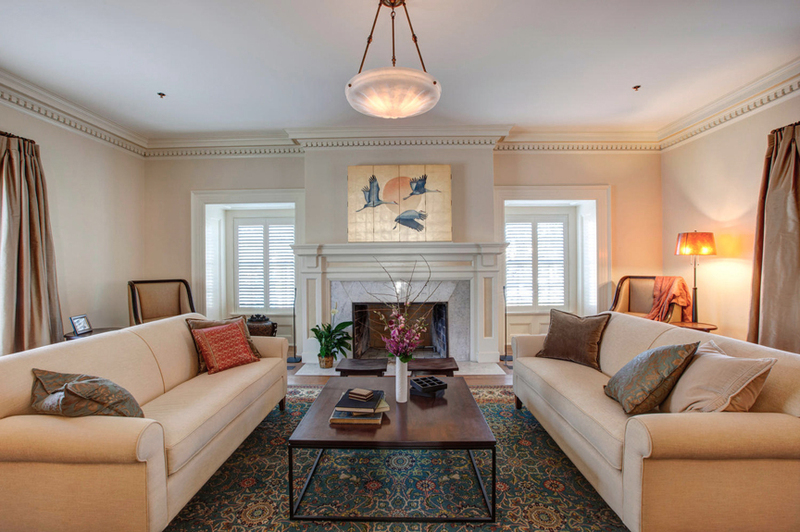 The surviving original material of the 18,000 square-foot MacGowan Residence was preserved and interior finishes and lighting fixtures were restored, along with the reconstruction of the exterior brick chimneys. Contemporary offices were fashioned within the attic level of the building, and a landscaped parking court was introduced. The separate Briggs Residence, a total of 5,700 square feet, was reintegrated on the site with sensitive landscaping and a central tiled fountain in its shared courtyard. The exteriors of both houses were preserved, including unusual cast plaster motifs depicting people at the base of the corbel eaves. The garage was renovated into church offices and the interiors were rehabilitated to accommodate classrooms, offices, residential suites, modern kitchens, and common living areas. The MacGowan Home and Briggs Residence, built in 1912 an 1914 by architects Hudson & Munsell, are both Los Angeles Historic-Cultural Monuments. The MacGowan-Briggs Seminary was completed under the Secretary of the Interior Standards and included compliance review with the Office of Historic Preservation. 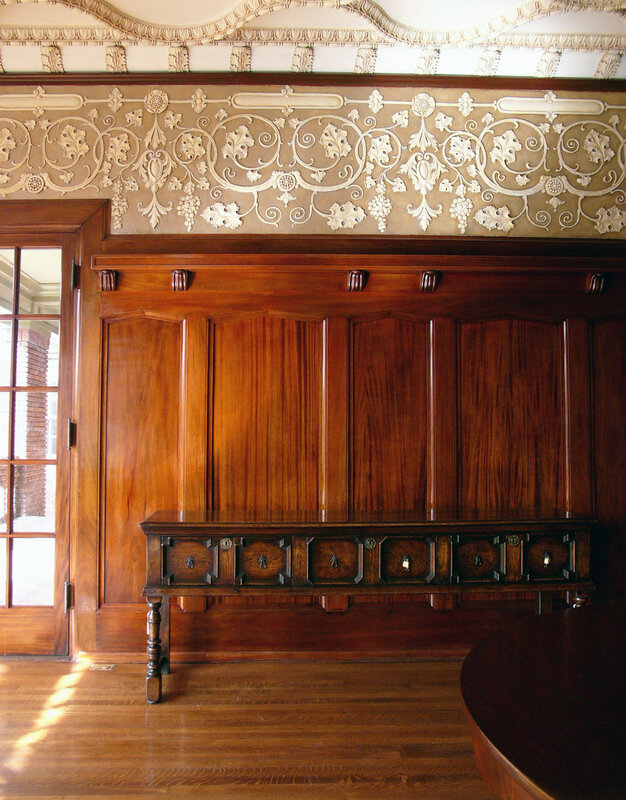 In 2008, the project received a Preservation Design Award in the Restoration category from the California Preservation Foundation. Decorative details include a variety of patterns in the carpets and wall paper and original dentil moldings – shown below in before (left) and after (right) of the main entrance all.